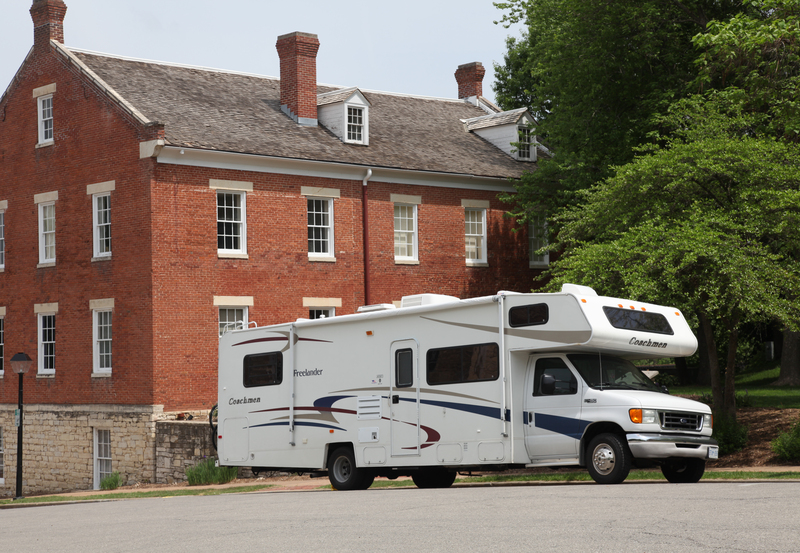 Our beloved motorhome, we owe you this long overdue thank you! 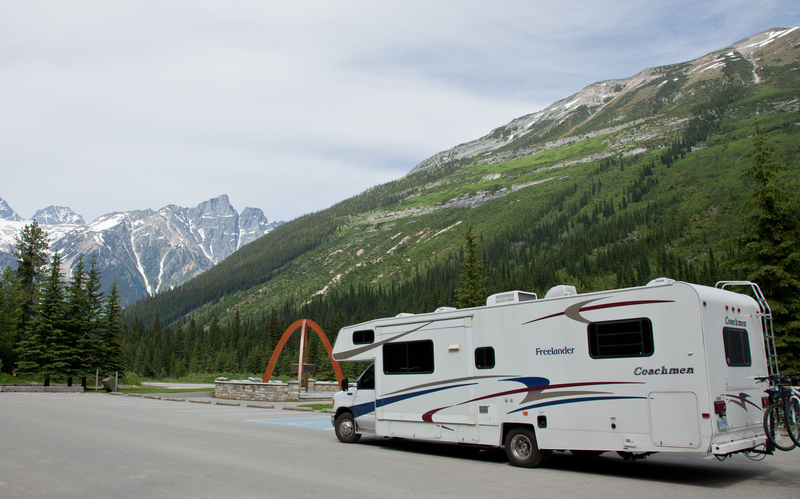 To the unobserving eye, you’re just another of the voluminous number of motorhomes across North America. You see them everywhere: transported to the same ol’ trailer park, driven south to escape the white stuff, or permanently residing in a backyard. But not you Sparkles. You gave off a vibe that you were ready for adventure. Were we destined to meet? 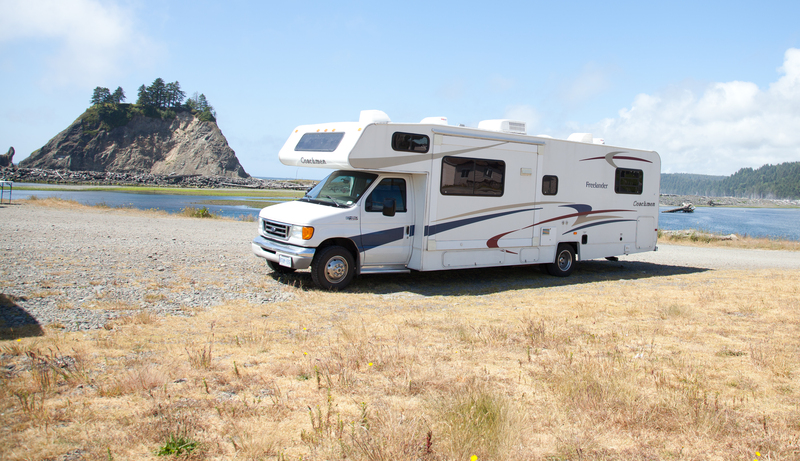 Well, we searched motorhomes online for over a year to find you, at times very confused as to what would be the best motorhome for our trip. When we landed on the shores of Canada, you were on our short list. 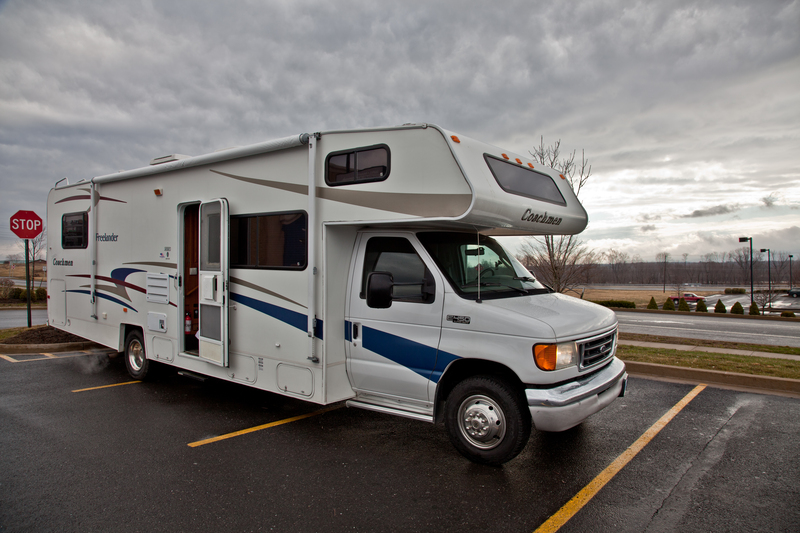 You stayed on the list through an RV show, and a couple of visits to RV traders. It then came down to two. Although the 5th wheel was absolutely gorgeous, it didn’t make sense for our trip. We would be stopping often, we wouldn’t be in places very long, and the kids needed a table to play and do craft while we drove (rather than being stuck in the back of a truck). You were the one. You were going to drive us 14,500 miles (21,000 kms) around North America. You were going to be our everything; our hotel, our restaurant, our playground, our transportation… our home. I loved driving you from the minute I hoped in. You didn’t exactly hum. Perhaps I was fulfilling a sudden ‘trucker’ dream. You definitely had heart, and some impressive grunt. That’s why I wanted to call you Grizzly. However, the name ‘Sparkles’ prevailed, as every time during the trip I said to the kids “Let’s get back to Grizzly”, I was instantly corrected with, ‘No Daddy, it’s Sparkles”. We picked you up near Hamilton (outside of Toronto), and we both survived our trip home. It wasn’t a direct route as we were hoping to give you a new set of runners (read tires). I’d pre-ordered a beautiful set of 6 Cooper Discoverer tires. As we got closer to the gas station, which we had to go through to get to the garage, it dawned me how big you really were. It didn’t help that the gas station was minuscule, by far the smallest gas station I’d ever encountered. Against my better judgment, I turned in and I felt like I was driving a monster truck through a kids miniature-land. Some tight manoeuvring found us alongside the garage. I jumped out and took a few steps towards the mechanic who had stepped out of the garage looking somewhat perplexed. “We can’t fit that in the garage, who did you speak to?” It’s ironic because it would not be the last time I would hear those words. If I’d thought entering the gas station was difficult, the stakes were suddenly raised as we pulled out into Toronto traffic. Now for most ordinary North American folk, you may scoff. But in Australia, we‘re still building 2 lane highways. So when I was faced with the goal of moving a 31ft vehicle across 4 lanes of Toronto traffic, from a standing start, with the maximum acceleration of a truck, and with my exit only a stone’s throw up the highway, you could say I wasn’t overly excited. Did I forget to mention that my read view mirrors had swung in without me noticing! Over the next month or so we gave you a lot of lovin’, and finally a new set of tires. It was only fair that as we prepared ourselves for this adventure, we got you ready as well. From Elvis’ house in Memphis, to waking up beside the Mississippi River, from watching a bison crossing in Yellowstone National Park, to overlooking the mountains in Whistler, you allowed us to wake up somewhere new almost every single day for 7 months. We fell in love with country music in Nashville, Tennessee, and were blessed by beautiful little cities like Jefferson City, Missouri. 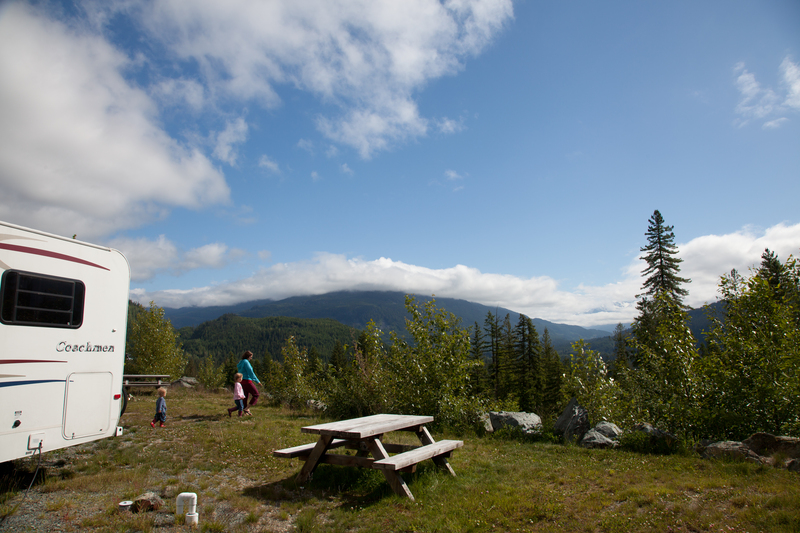 We reached the werewolf ridden La Push beach, Washington, and explored remote towns like Moose Factory, Ontario. Of course, the trip wouldn’t have been complete without visiting Anne of Green Gables in Prince Edward Island, and touching the Atlantic Ocean at the Fortress of Louisbourg, Cape Breton. Don’t get stuck in your ways. Be willing to try new things from which you may learn. Take a look at how you react and behave in different situations. Give yourself a chance to change! There is something very freeing about not knowing where you will sleep at night. 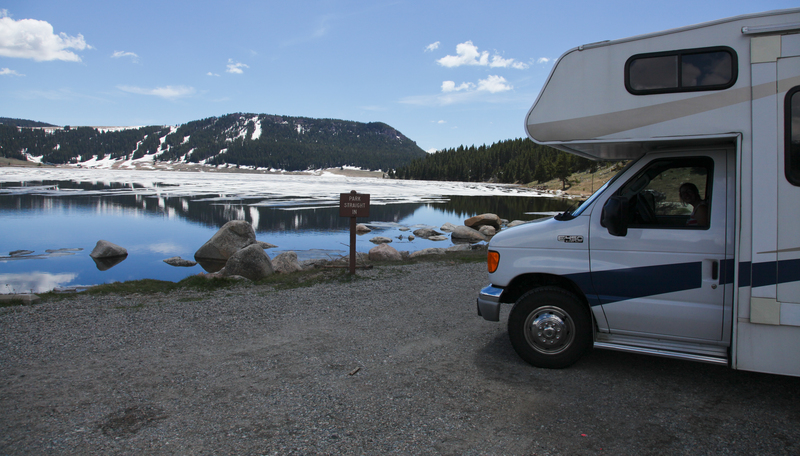 We tried Walmart parking lots, truck stops, little hideaways in National Parks and RV parks. You also managed to go ‘undetected’ for a few nights only a block or two off the main street of Banff, and saw us spending almost a week in Vancouver for $0. It didn’t really matter where we went to sleep at night. You were our home. Once the blinds were drawn, we could have been anywhere and it didn’t matter. You were the constant in our life, and you let our family be together in a way like many families couldn’t even imagine. A big house and lots of space rarely contributes to happiness. It just gives you lots of stuff, clutter, hard work, and a bigger debt to spend all of your time working to pay off. It was so lovely to go back to simpler times with fewer things, and instead be out appreciating all the beauty this amazing continent has to offer. We had no itinerary, instead we listened to people we met on the road and made on the fly decisions about which direction we would head next. We cleared our schedule of all organised activities, and let ourselves roam. We gave the kids North America as their playground, and WOW, did they embrace it! You enabled us to cook dinner alongside many children’s playgrounds, giving the kids something to do at that crazy hour of the day when kids just need to burn off energy! 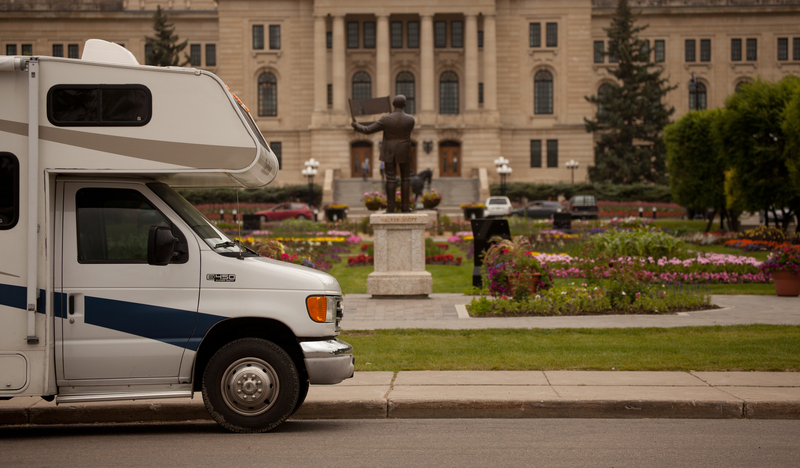 You let us park, and have lunch, at the end of the beautiful gardens alongside the Parliament in Regina. We even had an afternoon nap and then got ready for the Grand Ole Opry in the parking lot. We learnt to go with the flow, and live in the moment. Each day we told each other what we were thankful for. Looking back on the trip, we were thankful that you were with us everywhere! It was a convenience that we greatly appreciated. We could be out sightseeing and just drop in for lunch. If we forgot something, you were minutes away. If we went for a swim by the beach, we could come back and rinse off quickly in the shower. When I spilt my beer all over my daughter whilst out for dinner, I could whisk her away for a clean set of clothes and be back well before mains arrived… and just in time for a new cold one to be delivered to the table. 7. What do we really need in our life. We had a tiny kettle that boiled just enough water for 2 cups… all we needed. Marlea found a neat set of kitchen utensils that magnetised to each other, and took up no space at all. The reality was, we couldn’t buy anything more than what we needed. We food shopped for a couple of days at a time. We had not the space inside, nor the storage underneath, to carry excess baggage. Everything we had on us for the trip was essential, almost daily. While we de-winterised you, we had the pleasure of staying with two very wonderful family friends. Our hosts were incredibly thoughtful to invite us into their home. It was hard to leave such an amazing home, that had the most peaceful outlook I’ve ever been privileged to see and experience first hand. In Calgary, we caught up with cousins that Marlea had seen only for 10 minutes in 10 years. It was a wonderful week with a very beautiful family. The kids played amazingly well, I got a fishing lesson, and cousins reunited. In August, we hit Quebec for an incredible family reunion. It remains one of the highlights of the trip, and it was wonderful to meet the extended family for the first time. Of course, we will never forget the moments created on our trip thanks to wonderful people that came in to our lives. 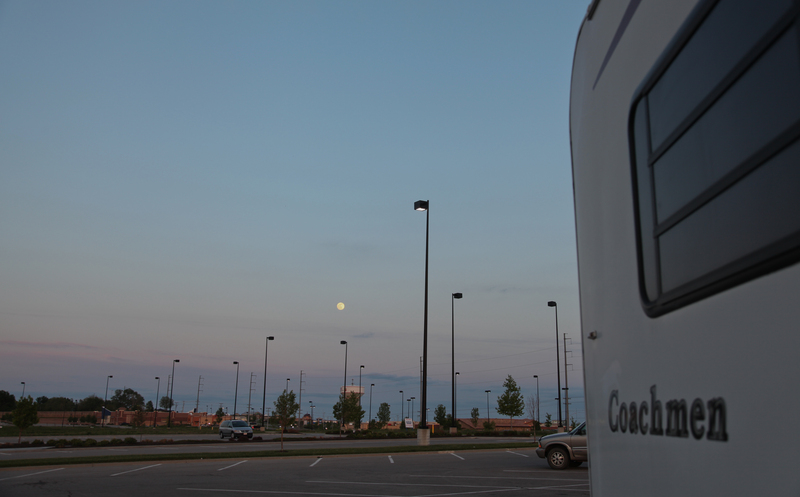 Our first ever RV park in Myrtle Beach was the perfect start to our trip. Dora found an adorable little friend, and they sung Frozen together at a Karaoke night. It was such a lovely way to start our adventure, and really set the tone for how we interacted with people along the way. Golden, Colordo was a place we intended to stay for only a night or two. But we connected with another family, and we spent a week there. We hardly saw Dora for the week, as she found a new bestie. Boots had a friend too, and so did mommy and daddy. Great times, lasting memories. Again, in Yellowstone, we extended our stay in order to spend more time with new found friends. 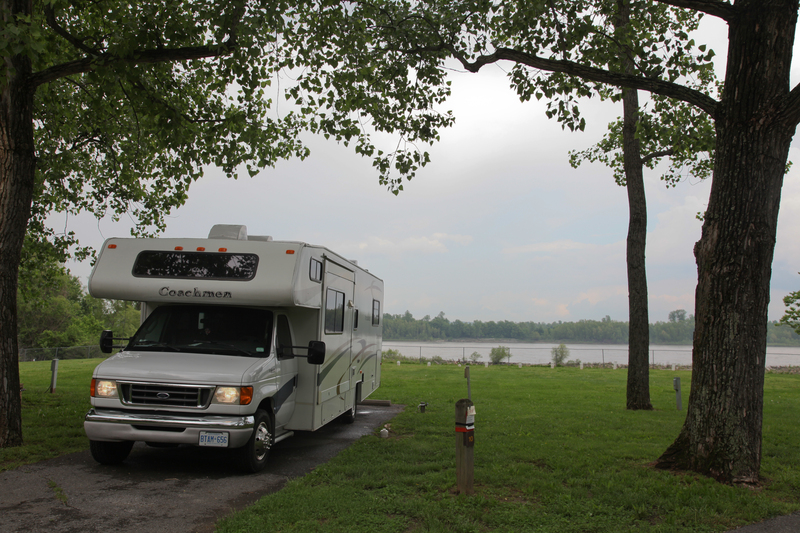 Nearly every night in an RV park, we spent the evening chatting with our new neighbours. Another friend we still chat with, we met for 5 minutes in a parking lot while admiring her scooter covered in bumper stickers from her RV travels. 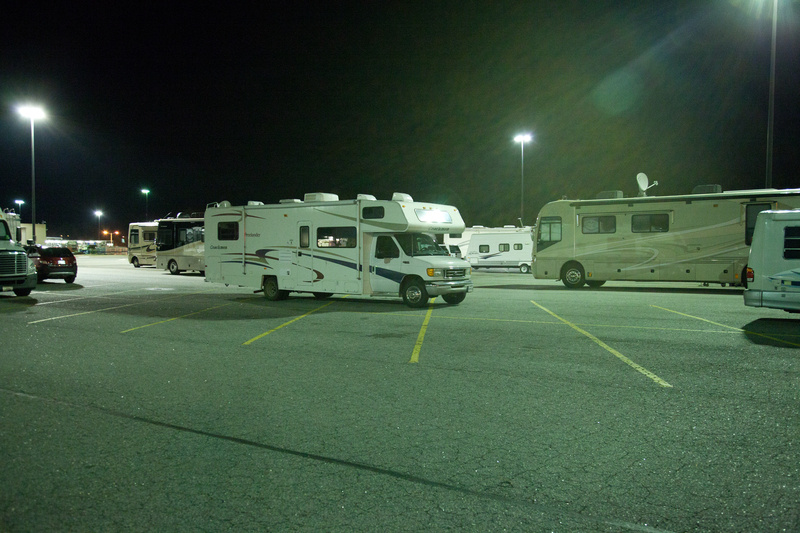 It really didn’t matter whether it was a Walmart parking lot, a tourist attraction, or an RV park, we continued to find and connect with people from all over North America. We shared conversation, drinks, stories, travelling tips, and a general happiness for life. It’s very addictive. You did not cause one road kill in your 21,000 km. Bugs – thousands. But animals – zero. We experienced and offered up kindness. It was hard not to when you have travelled the miles and seen the things that we’d seen. People we’re incredibly friendly and kind to us, and welcomed us into their ‘homes’ and lives almost instantly; and we did the same. Where we could, we gave presents to families and people in need. All we can say is that the world is a truly a better place when kindness exists. Sparkles, we loved sharing this adventure with you, and you made us smile and the kids squeal every time we saw you. You were always easy to find in the parking lots. 🙂 You faced some tough driving situations, some long days, and cold nights, but you didn’t complain once. You crossed the Rockies… twice. You kept us safe. You evaded tornadoes in Georgia, Colorado and Wyoming. We honestly believe you enjoyed the trip as much as we did. Thank you for being part of our family last year, and creating the most amazing memories.